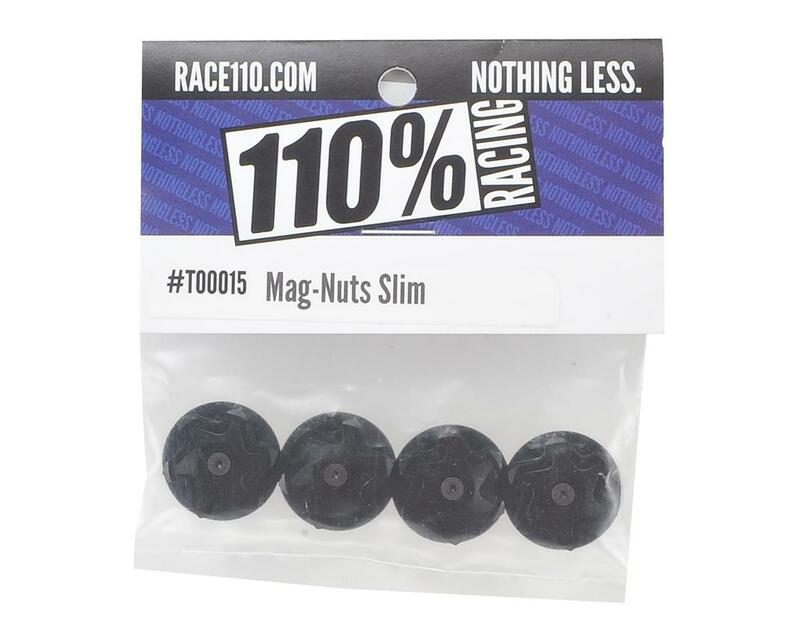 The 110% Racing Slim MagNut 17mm Wheel Nut is a thinner and lighter version of the original Magnetic Wheel Nut. 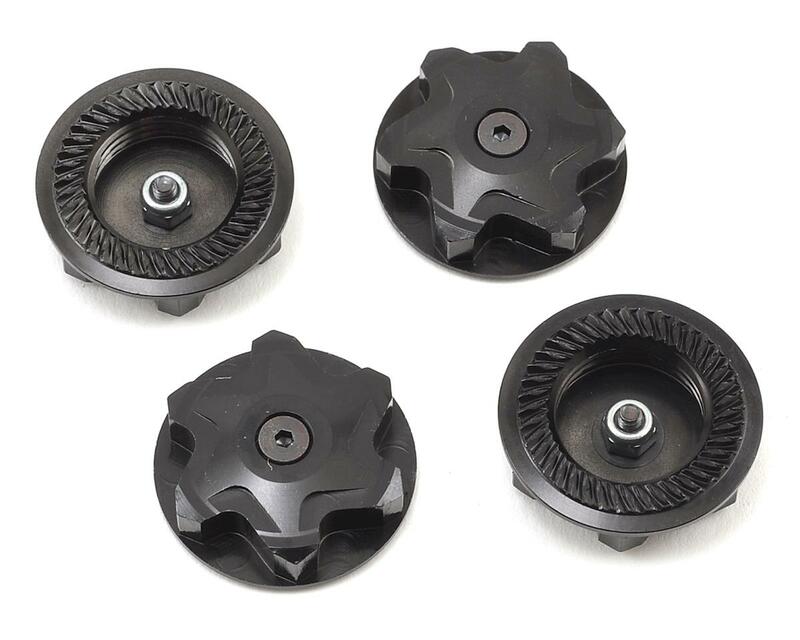 They feature the same magnetic inlays and the top of the line knurling, and cut off the extra weight to produce a nut that is more sleek and reliable. Ready to use with the 110% Racing Magnetic Wheel Wrench (110-T00001) these nuts are designed to work with the HB D8 family of vehicles. NOTE: These are compatible with other vehicles that use a fine thread pitch axle, but those vehicles may require modification. Please watch video below for more information.